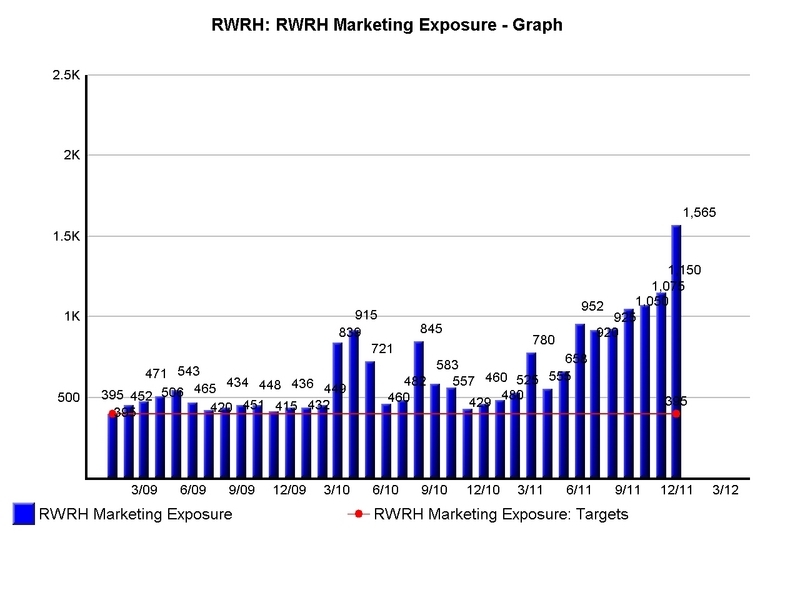 Develops marketing strategy and gift planning for RWRH Make A Difference Fund. Works with cross functional service line teams to develop 360 degree marketing on a regional level. Manages $300,000 dollar marketing budget. Designed and Implemented HERO (hospital employees reaching out) volunteer program that resulted in employees volunteering over 8000 hours of community service since the programs inception in 2010. Managed the assessment, planning, development and evaluation of staff continuing education and competency development for over 300 employees. Initiated development of hospital wide and department specific education plans that complied with all governing accreditation agencies. Fully implemented and served as system administrator for Netlearning, (Computer Based Learning) software moving from manual to automated documentation system. Increased number of college and university affiliations for clinical site student rotations in the areas of Respiratory, Physical Therapy, Athletic Trainers, and Emergency Medical Services. Designed, implemented and operationalized Performance Improvement Plan for RWRH. Provided education and training to management team on performance improvement process and techniques - Juran, JCAHO 10 step and 6 step process. Developed and applied centralized scheduling concept for RWRH later adopted by RHS. Developed full service Rehabilitation Services Department. Developed Clinical Protocols leading to reduction in Average Length of Stay increasing net revenue per DRG. Employee Satisfaction ranked highest in facility. First in health system to develop Therapist Driven Protocols ( T.D.P.s) based on national evidenced based criteria resulting in tens of thousands in medical cost savings, decrease in average lenth of stay and increase in net revenue per Respiratory and Cardiac DRGs. Developed and implemented cross training of professional staff to improve quality, service, and accomodate growth without additional allocation of resources. National Speaker "Innovative Delivery of Cardiac Rehabilitation - A Wellness Approach"
Serves as mentor to students from local high schools and universities. Gloucester County Board of Supervisors Appointment to "Community ConcernsTask Force"
President of ARCC Enterprise, Incorporated. Developed "Stillwater Landing" multi-million dollar single family home development. Oversaw all aspects of project including; planning & development, finance, marketing and sales. An esteemed career spanning 34 years with Riverside Heath System that demonstrates progressive professional growth and innovative results- driven leadership. Accomplished leader and manager with a history characterized by rising to every challange and exceeding expectations in the areas of Gift Planning and Fundraising, Marketing, Public Relations, Community Outreach, Staff and Patient Education, Performance Improvement, JCAH0 Accreditation, Rehabilitation, Cardiac and Respiratory Services. Branded Make A Difference Fund that resulted in reaching fundraising goal of $100,000 in 2011. Developed Prospect Donor List that grew from 30 to 650 names. Established Signature Fundraising Event - Inaugural Tree of Lights Gala generated over $36,000. Established RWRH " Bringing Amazing Healthcare To Our Neigbors and Friends" branding initiative resulting in highest consumer perception rating in market. 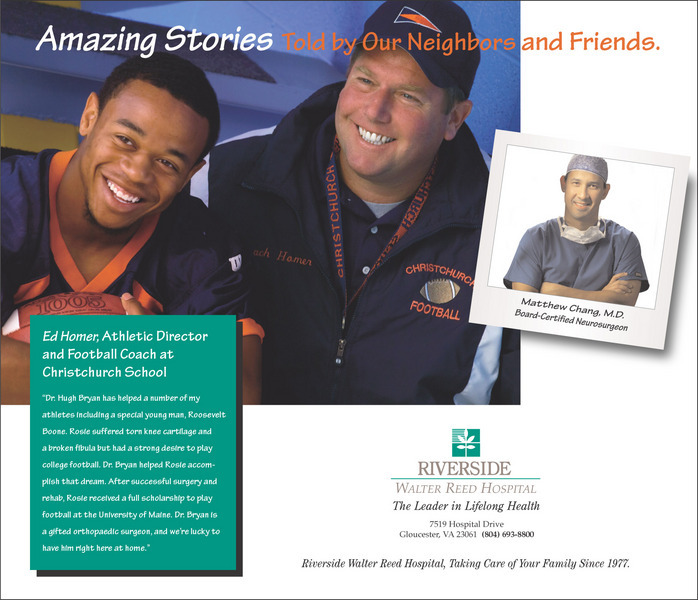 Developed and launched "The Doc Is On" Riverside Health Radio medical talk show. First in RHS to introduce patient testimonials as part of marketing strategy generating over 30 testimonials and resulting in measured greater retention and referrals. Oversaw production and telescript of RWRH's segement on TLC's "Inside Health" hosted by Peggy Flemming. Provided oversight and coordination that resulted in successful JCAHO accreditations with Gold Standard of Approval designation. Developed and implemented first Sports Medicine Program in health system introducing Athletic Trainers in local high schools that resulted in a 12 % increase in Diagnostic Imaging and 10% increase in Orthopaedic surgical referrals the first year of operation. Expanded Physical Therapy to a comprehensive Rehabilitation Services Department by integrating Speech and Occupational Therapy and implementing Virginia's only Aquatics Therapy program. To obtain the position of Gift Planning Director. I aspire to work with a team where I can apply my experience, skills and knowledge of strategic planning, operations, marketing, public relations and community dynamics to create a trusted and sustainable philanthropic fundraising division for Riverside Health System.